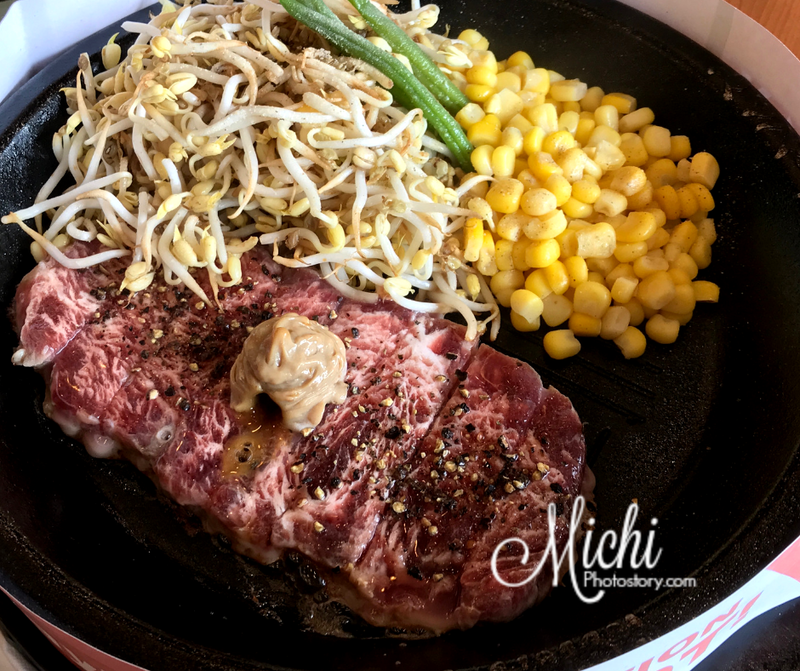 It is not a secret anymore that I’m a meat lover so Pepper Lunch is one of my go-to restaurants if I want to eat steak. So I was really happy when I saw Pepper Lunch at Southwoods Mall, finally may malapit na rin. 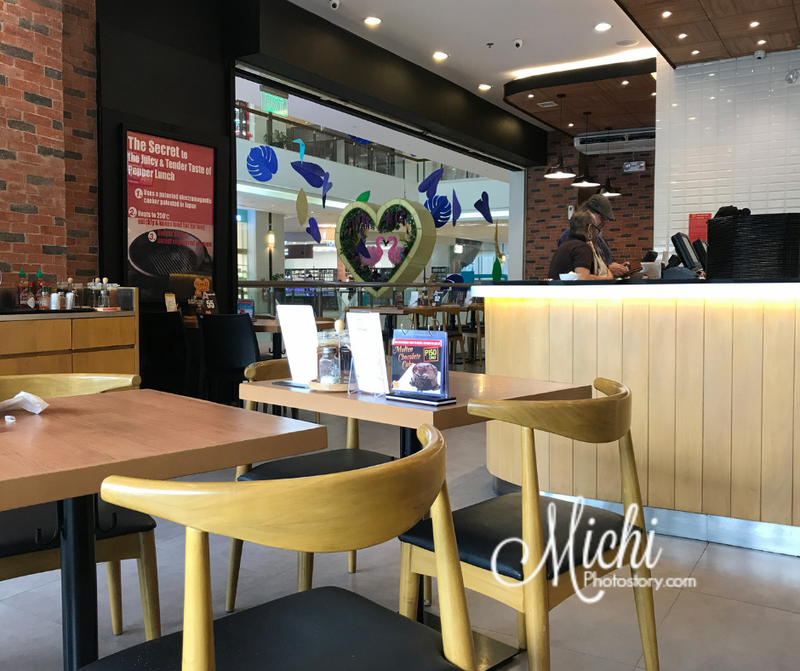 We used to eat at Alabang Town Center branch pa kaso. I also tried Shangri la Mall branch when my son celebrated his 8th birthday at EDSA Shangrila Hotel. Last year, my friends had a get-together so we ate at Pepper Lunch. The restaurant is not that big, parang same sa ATC so pag punuan, sa labas ka na rin ng restaurant. It was a weekday and early lunch kami kaya wala pa tao. As usual, I ordered Shimofuri Pepper Steak P610 for our lunch get-together. 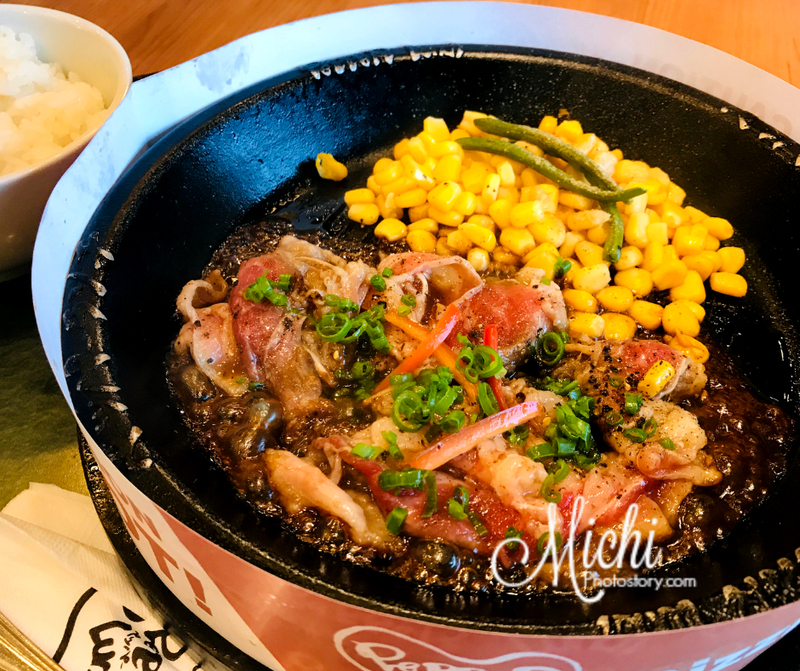 Just this week, we had a get-together again and we had dinner at Pepper Lunch. I always order the Big Rib Eye Steak or Pepper Steak but this time, I tried other meal kasi nagtitipid din ako. Hehehe! I ordered Beef Yakiniku P315, the meal has corn, beef, and plain rice. The meal is just okay because I find it too sweet for my taste so nauumay ako. I wasn’t able to finish the beef slices kahit ang konti lang naman niya.